An agriculturalist who was visiting a remote part of Iceland discovered plush tasting vegetables which were produced without chemicals. Upon returning to the U.S., he began to conduct a series of studies which revealed the secret of the soil's growing energy. 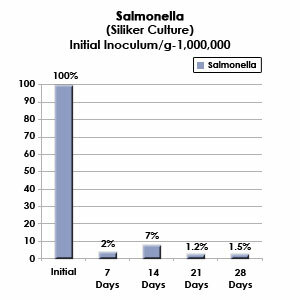 This discovery led to a patented formula is a unique strain of Bacillus Laterosporus (B.O.D. STRAIN), a naturally occurring bacteria. Latero-Flora™ (B.O.D. strain) can help maintain a healthy colon and will also help populate the complete digestive tract with beneficial bacteria. Since early 1989, when Latero-Flora was introduced commercially, a constantly growing number of individuals, practitioners, clinics, and health care professionals have applauded this product and therefore have continually recommended it to friends and patients. Just as our Earth holds a wealth of life forms – on occasion existing harmoniously, other times besieged fitfully against each other -- so too does the human body hold an enormous internal ecosystem consisting of thousands of billions of living microorganisms that co-exist. This enormous internal ecosystem, which many researchers call our "human intestinal flora," radically influences, and to a certain degree even directs, every individual's personal state of health and well being -- including physical and mental health, and metabolism. Over 400 separate species of microorganisms live in the various regions of the human digestive tract, making up almost four pounds of every person’s total body weight. This enormous population of microorganisms greatly exceeds the number of tissue cells that make up what we call, the human body. Helps protect your body against unfriendly bacteria. Helps in the performance of the digestive system. Maintains the body's crucial chemical and hormone balance. Performs an enormous number of required tasks for preserving high energy levels and proper immune function. Transient microorganisms are very important to understand. These include food-borne microorganisms and soil-borne microorganisms that make their way into the digestive tract and, depending upon the uniqueness of the exact organism involved, shape the overall health of the human system. Transient microorganisms are dissimilar from resident microorganisms in that they do not take up lasting residence in the gastrointestinal tract. Instead, they launch small colonies for short periods of time before dying off or being flushed from the digestive tract via usual digestive processes, or by peristaltic bowel action. However, in taking up short-lived residence, they add to the overall purpose and condition of the digestive tract. For example, the lives of some of the most significant resident microorganisms involved in digestion and intestinal health depend on by-products made by the drop-in transients. Therefore, in many cases, these two extremely different types of microorganisms nonetheless benefit from an intricate symbiotic relationship that may considerably influence the health and well being of the entire body. One of the most enigmatic of the transient "friendly" microorganisms located in the human gastrointestinal tract. Bacillus Laterosporus (B.O.D.™ strain) is a spore bearing bacteria which enables the encased spore to survive the stomach acids. Thus, the full benefit of Bacillus Laterosporus B.O.D.™ will bloom and flourish in the colon and establish colonies that will augment the immune system. Despite the average American’s obsession with sanitation, thousands of bacteria are ingested with every bite of food. In the nineteenth century the average person ate mostly foods straight from the garden. These foods contained large amounts of beneficial bacteria which, when ingested, populated the intestines. The bacteria in today’s food supply are not the same as those of a hundred years ago; they are mostly disease-producing bacteria. Research has shown that the "ecosystem" of our soil has changed, especially in industrialized countries that use large amounts of synthetic fertilizers and pesticides. In addition, today’s food is highly processed. It is heated, dried, and totally denatured. These processes effectively kill any beneficial bacteria. How does Bacillus Laterosporus BOD help protect us from disease? The action is three-fold. First these organisms attack and help to eliminate pathogenic organisms such as Salmonella, E.Coli and Streptococci. They also create a hostile environment against viruses. Second, they stimulate thte immune system to produce more antibodies against bacteria and viruses. Lastly, Bacillus Laterosporus BOD improves digestion by completely breaking down food in the intestines and assists in the elimination of toxins. Long term exposure to incomplete digestion and toxins has been implicated as the cause of many chronic diseases. "Latero Flora™ has shown significant effectiveness in improving and eliminating gastrointestinal symptoms and food sensitivities while enhancing the patient's digestive capacities....I am convinced that Latero Flora will play a very important role in fighting the scourge of this century - the suppression of our immune system." 1) Do not eat any form of refined sugar or fermented foods including yogurt and cheese. The following may be consumed:: Granny Smith Apple, Berries of all kinds. Eat 1 clove of garlic every day. 2) Supplement with Latero-Flora according to directions. 3) Consume an enzyme formula before each meal. Enzymes help to chew the food up and thus leave less for the yeast to thrive on. 4) Implement food combining for your complete diet. Food combining is designed to help your food move quickly through your system without any chance of fermentation which, in turn, will greatly improve your digestion process. 5) Consume some kind of oxygen-based colon cleanser before bed to help with the removal of the dead yeast from your body. This can protect you from experiencing a healing crisis from toxins given off from the yeast. As an added benefit it will keep the colon clean and provide an oxygenated environment. Yeast thrives in an anaerobic environment. 6) Consider using a good quality colloidal silver product. 7) Oregatrex, Wild Mediterranean oregano blend, may be helpful in controlling Candida. 8) Mycozil™ — a blend of herbs such as Wildcrafted Jatoba bark and Pau d’arco bark, and enzymes formulated to support normal candida balance and cleansing. Remember that it may take months to get yeast over-growth under control. Continue on your diet and supplements. Drink at least 64 ounces daily of clean pure water. Consider lymphatic drainage techniques to keep the lymph system moving. Practice patience and determination. 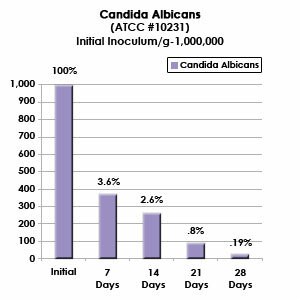 Thrush caused by candida albicans can be treated using Latero-Flora powder dissolved in water. Fifteen minutes before breakfast, dissolve 1 teaspoon of Latero-Flora powder in 4 ounces of purified water, rinse thoroughly in mouth and then swallow. This may also be used by children with thrush (Candida/Yeast). Swab mouth two times daily with above mixture. You can also use for yeast diaper rash. Rub mixture on affected parts and allow to dry. Use after every diaper change. Latero-Flora powder dissolves easily in water and is tasteless. Improvement should be seen within a few days, continue program until all evidence of the coating is gone. Latero-Flora does not contain any yeast, corn, starch, fructose, lactose, preservatives, artificial coloring or flavoring. Adults—Each morning, 20 minutes before breakfast, take 2 capsules with water. After one to two months, reduce dosage by half. Children—Take 1 capsule in the same manner as described above. Capsules can also be opened and contents dissolved in water. Store at room temperature OR refrigerate. Shelf life is two years. Latero-Flora contains bacillus bacteria which are spore bearing. This means that it is encapsulated so that Latero-Flora will make it through the stomach acid. Once in the gut it sets up colonies with the spores colonizing every 32 minutes. Bacteria such as Acidophilus and other forms of probiotic are live so they will need to be refrigerated. 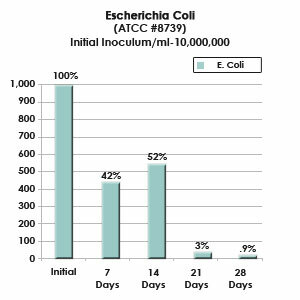 Indication reductions of 25% - 90% were realized by using Latero-Flora for an average of 30 days. What is bacillus laterosporus BOD? Bacillus laterosporus BOD is a unique soil based organism (SBO) which has a strong inhibitory effect on a number of pathogens including the fungus candida albicans, and many bacterial pathogens including e. coli, salmonella and streptococcus faecalis. It was discovered in a pristine area of Iceland in the late 1980’s where it was responsible for the unusual health of local vegetables grown there and of the residents who consumed them.It is a transient organism in the human digestive tract that enjoys a complex symbiotic relationship with the residents of the digestive tract that can dramatically influence the health and well-being of your entire body. Bacillus laterosporus BOD is a patented organism only available in Flora Balance, Latero Flora and Mind and Body Formula. Bacillus laterosporus was safety tested in 1986. The results showed no oral toxicity with bacillus laterosporus BOD at doses of 5 grams per kilogram bodyweight which is equivalent to 2000 Flora Balance capsules/day for a person weighing 170 lbs. Applied Biological Sciences Laboratory concluded that the Bacillus was not harmful to any human being and that “no further oral testing was required”. Is it dairy free, gluten free, animal free? Latero-oFlora is free of dairy, gluten and animal substances. Latero-Flora is safe for children including infants. It is recommended that children take ½ the suggested adult dose. Can I open a capsule for topical use? Unfortunately this does not work very well, the rice flour makes more of a paste in water. Should I take it while taking antibiotics? Taking Latero-Flora while taking anti-biotics can help prevent destruction of the normal flora in the digestive tract.